NEW YORK (Reuters) - Luxury automaker Lamborghini expects to at least double production to 7,000 vehicles a year by 2019 once it rolls out a new SUV, but it will not lose its focus on making sports cars, Chief Executive Officer Stefano Domenicali said Tuesday. 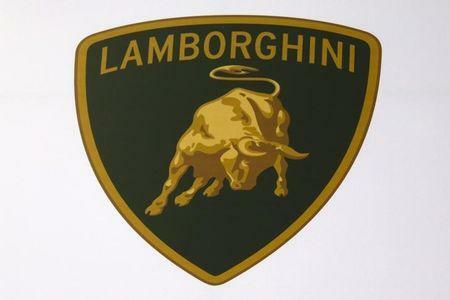 Domenicali told Reuters the company plans to cap yearly production of its supercars at 3,500. He also expects sport-utility vehicle production will be at least as high but could be higher depending on demand. The Italian automaker is owned by Volkswagen Group <VOWG_p.DE> through its Audi unit. The new SUV will go on sale in 2018 starting at around $200,000. "We will push like hell to" sell 3,500 or more of the SUVs, Domenicali said in an interview, adding interest in it is high in the United States and elsewhere. "It's a big game-changer." Domenicali, who was named CEO in February, said Lamborghini plans to boost its worldwide dealer network to 160 from 132 now. About 30 percent of its dealers and sales are in the United States, its largest market. Lamborghini sold a record 3,245 vehicles worldwide in 2015, including just over 1,000 in the United States. "We will not, clearly, give up on our DNA, which is to produce super sportcars," he said. Lamborghini is adding 500 employees and doubling the size of its Sant'Agata Bolognese plant in Italy as part of an investment worth hundreds of millions of euros announced in 2015. Lamborghini is joining several luxury carmakers that have entered the profitable SUV market, including VW's Porsche unit. Domenicali, a former Ferrari <RACE.MI> and Audi executive, said he wants to keep brand volume limited. The company unveiled its Centenario Roadster in California, and said the company had already sold the 20 roadsters it was building at a starting price of 2 million euros before taxes. Lamborghini plans a plug-in hybrid electric version of the SUV by 2020, and could add a zero-emission vehicle. Domenicali said the SUV could be a platform for future autonomous vehicles, but such vehicles won't hurt the brand. "If you buy a Lamborghini you want to drive ... We are talking about emotions," he said, adding that steering wheels won't go away in Lamborghinis: "In life, technology has to be part of the emotion."